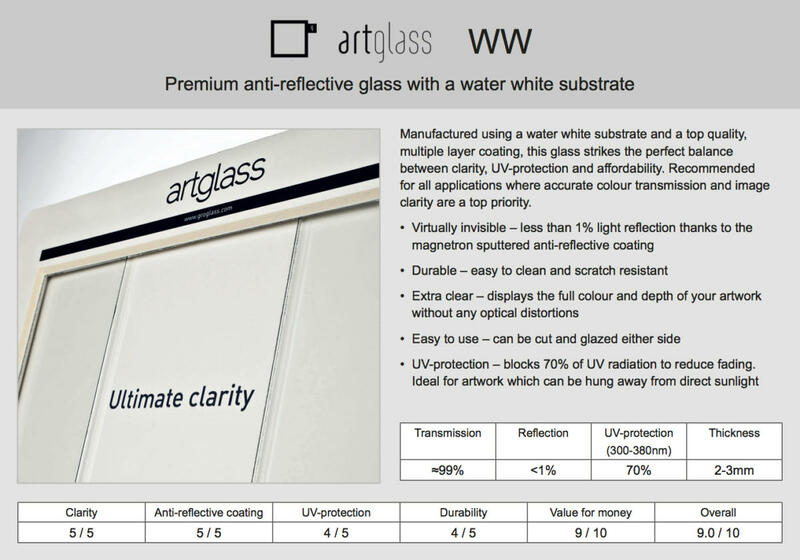 We have several different glass options to suit your needs. 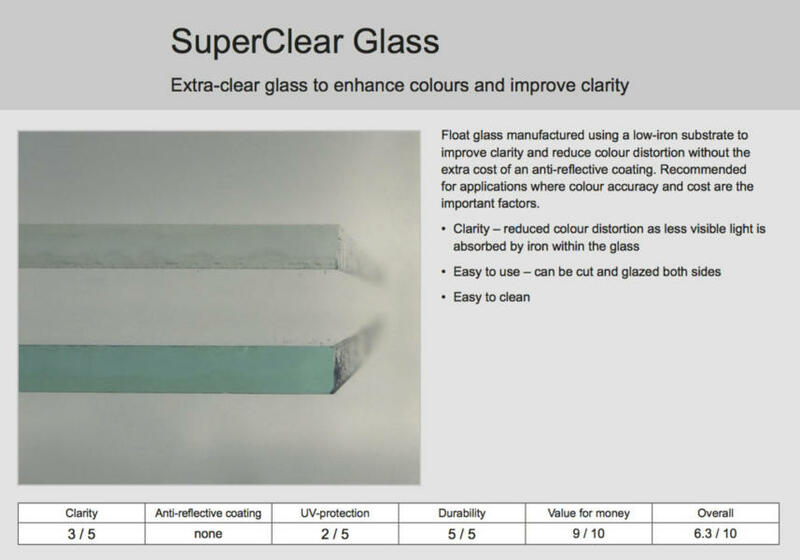 As standard we would use 2mm ‘Super Clear’ glass, which has a low iron content which ensures no colour distortion which can occur with cheaper standard glazing. 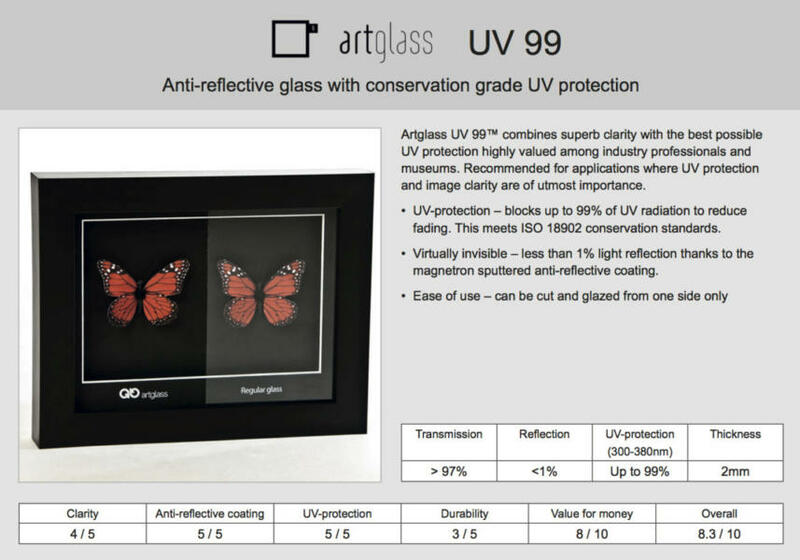 For those special art pieces, we have a number of different glass options available. 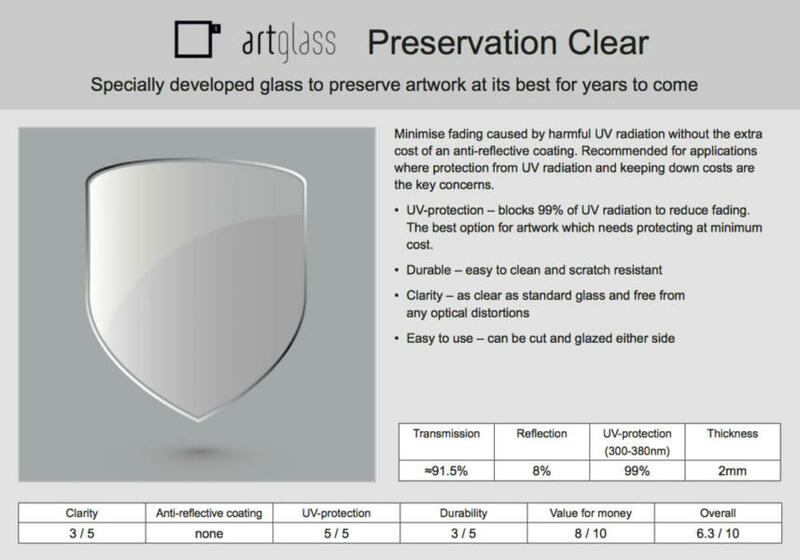 From UV protected, Anti-Reflective, Museum grade and Perspex. Please see our comparison chart below to help you select what would be best for you.